LUISAVIAROMA.COM + Polyvore | Are You Ready? 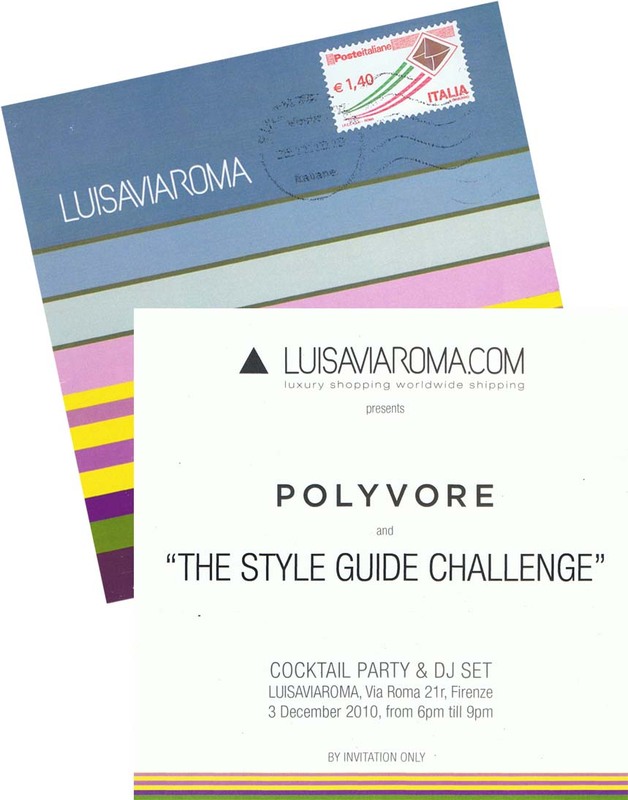 On December 3 LUISAVIAROMA.COM will celebrate the launch of Polyvore in Europe with a cocktail party and a new on-line contest! At midnight you can enter the contest online even on our blog, by creating sets of designs utilizing the Product Catalog on LUISAVIAROMA.COM. The winner will receive a gift card valued at € 500 (to spend on LUISAVIAROMA.COM) and the exclusive opportunity to participate in the next edition of Firenze4Ever (January 2011) as a guest of LUISAVIAROMA.